data input combinations have no 1s or an even number of 1s. 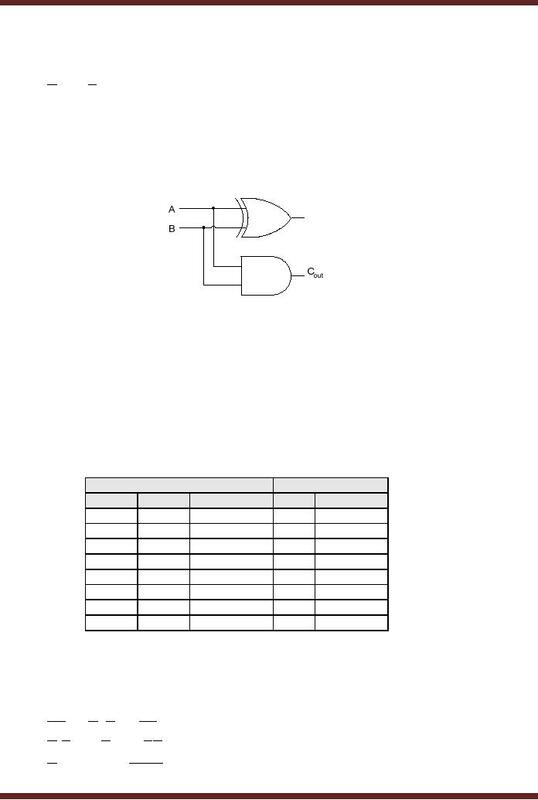 knowing the function table of XOR and XNOR gates the Boolean expression can be simplified. bits are the same, then no error has occurred. 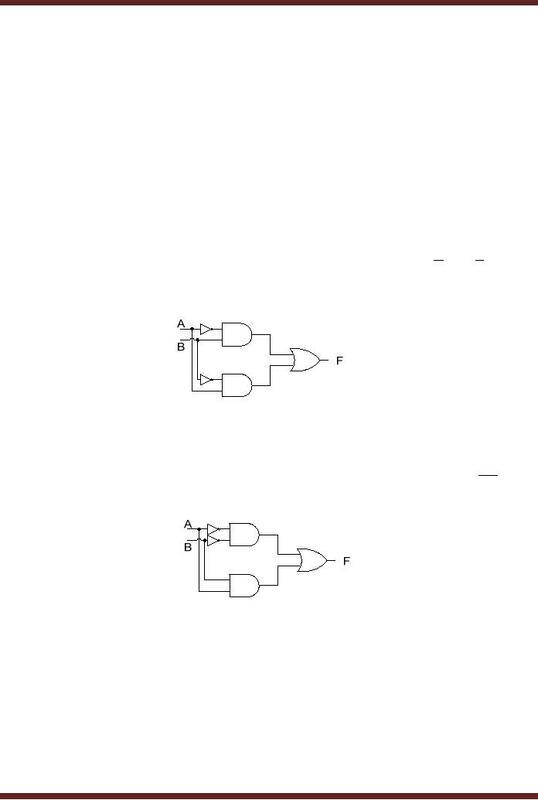 An XOR gate is used to detect parity errors. 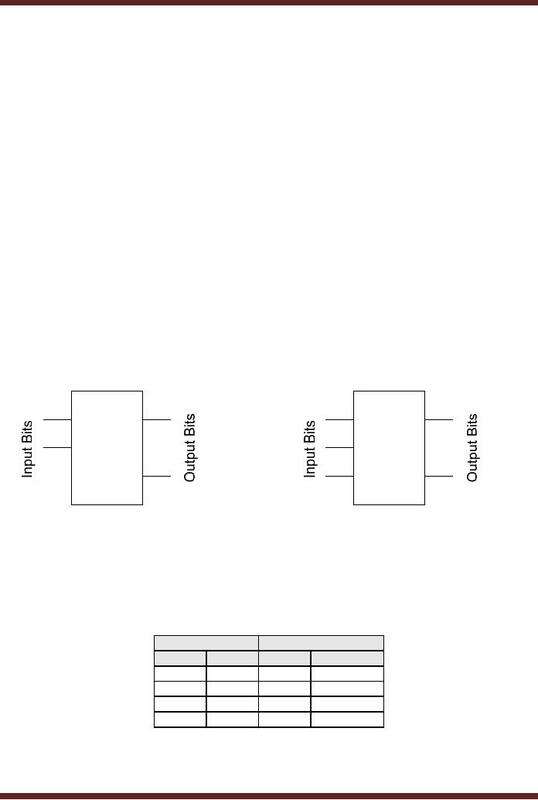 interval t0 the 4-bit data value is 0000, during time interval t1, the data value changes to 0001.
functional devices as each gate performs a simple specific function. implemented using a combination NOT, AND and OR gates. 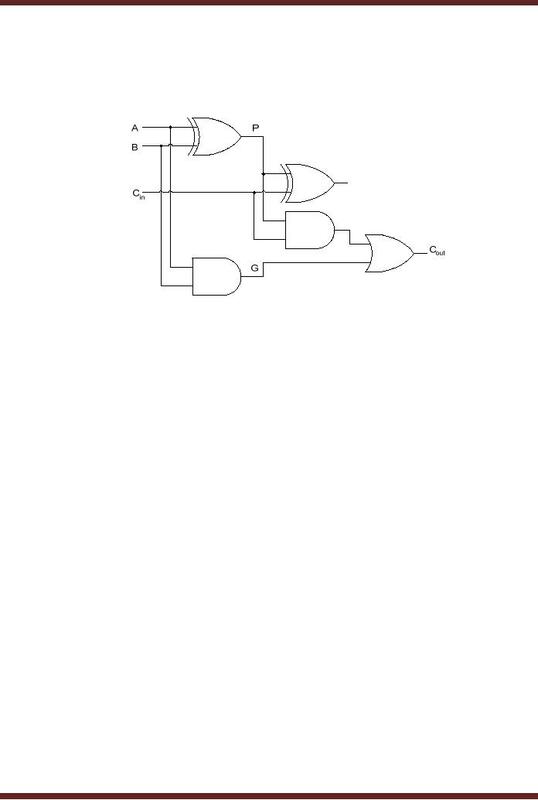 The XNOR gate is also implemented using a combination of NOT, AND and OR gates. The function of the XNOR gate is represented in term of Boolean expression as AB + AB . 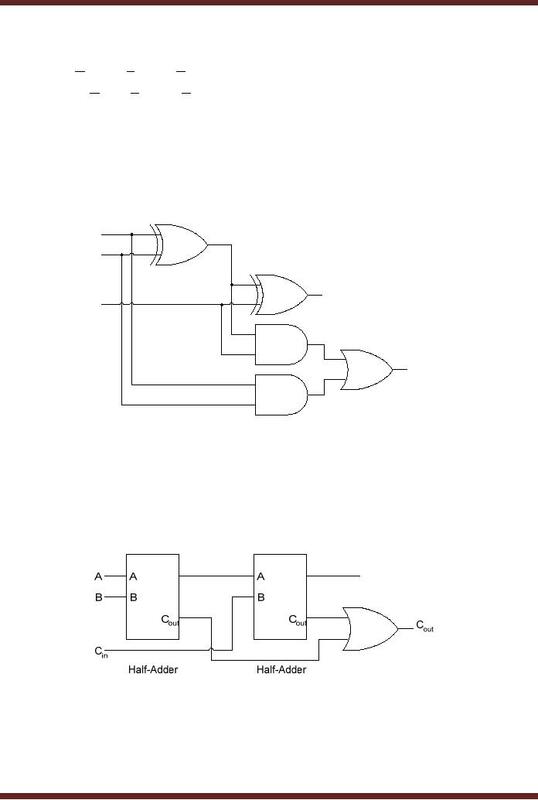 half-adder. 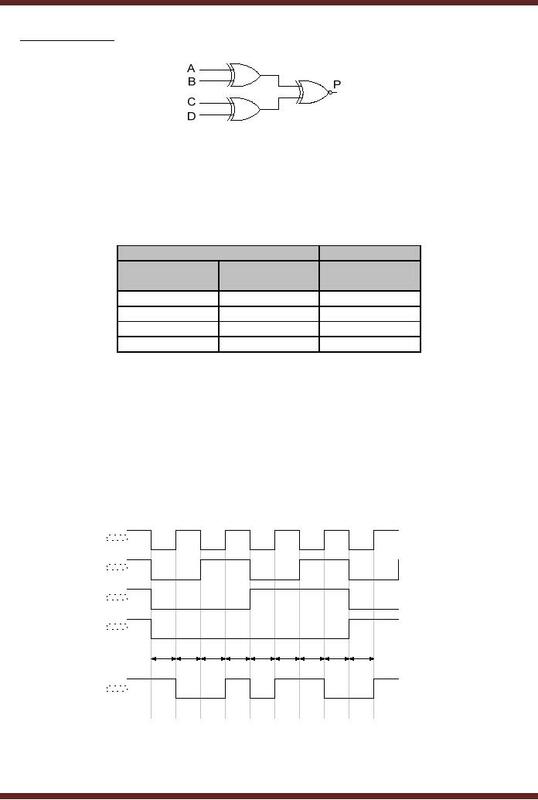 The block diagrams represent a Half-Adder and a Full-Adder. Figure 14.5. Out Boolean Expressions and the circuit Implementation. 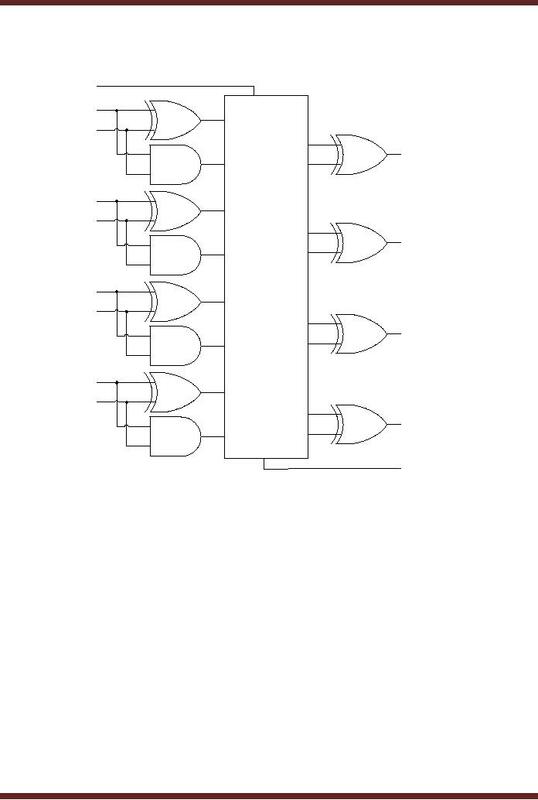 4-bit Parallel Adder capable of adding two 4-bit binary numbers. 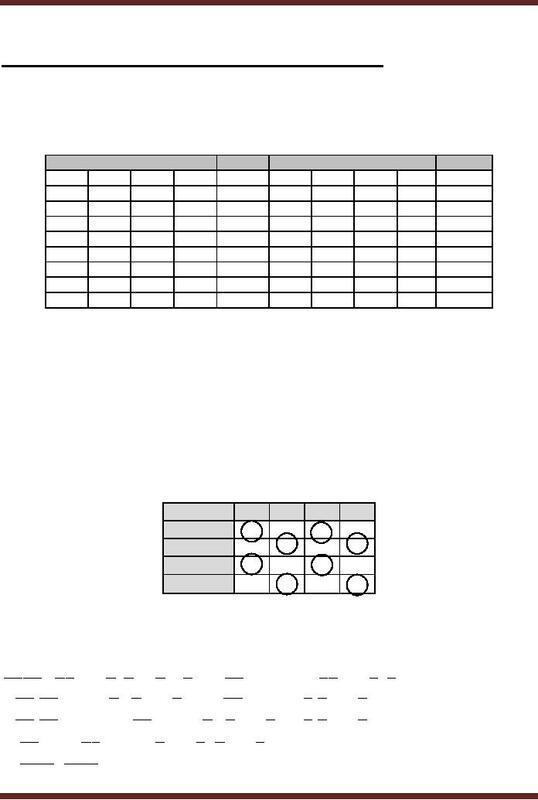 Figure 14.9. In to the circuit is set to 0. (Cin=0). The Carry is available at Cout. 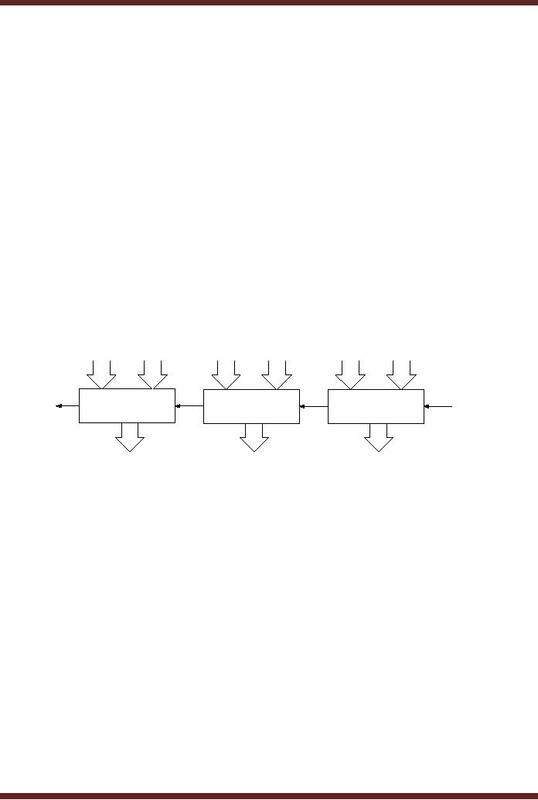 propagate through each Full-adder before it reaches the last or most significant full adder. 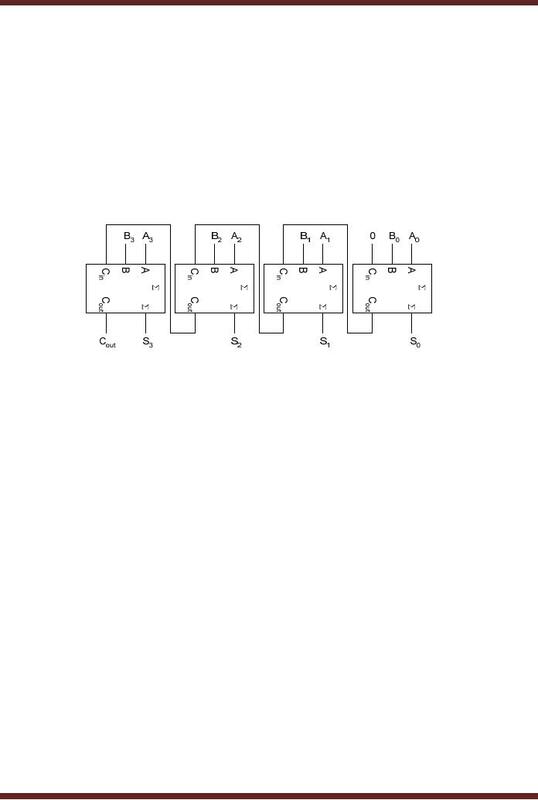 · The P output is called the Carry Propagate. Propagate and G, Carry Generate terms. Propagate P and Carry Generate G.
Generate terms G0, G1, G2 and G3. are generated by the XOR and AND gates after one gate delay. gate to sum the terms C 0P0 and G0 . Thus C1 is available after two gate delays. sum the three terms. Thus C2 is also available after two gate delays. gate. Again two levels of gates is used, C3 is available after a gate delay of two. available after a gate delay of two. Propagate Carry and Generate Carry terms become available. 74LS283. Both the devices are functionally identical, however they are not pin compatible.